Middle Kids have shared a video for “Real Thing.” The song comes from the band’s upcoming EP, New Songs For Old Problems, due out May 24th. Middle Kids performed “Mistake” on Corden last night. Middle Kids have shared the new song “Salt Eyes.” The song was recorded at Ryan Adams’ PAX-AM Studio. As indie rock continues to evolve, and a growing number of bands keep getting lumped into that genre, it is becoming increasingly more difficult for bands to stick out from the pack. Such is not the case for a relatively new band called Middle Kids, as their brand of indie pop rock flourishes right from the first listen. 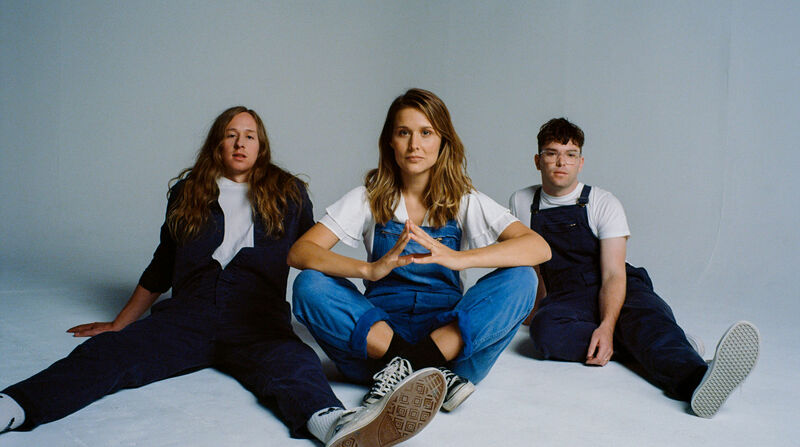 The group, from Sydney, Australia, are comprised of lead singer/guitarist Hannah Joy, her husband and bassist Tim Fritz, and drummer Harry Day. The group has taken full advantage of the excitement that comes with releasing their debut full-length album by showcasing just how talented this trio truly are. Adam Grundy reviews the new album from Middle Kids.